Also, be sure to check out the features from last week’s party. A new Shabby Apple winner was announced there too. Appliances Online is sponsoring a great giveaway for Just Us Four Readers too! Enter, using the rafflecopter form, to win a $20 Amazon Gift Voucher. Psst…don’t forget to enter the Pick Your Plum Giveaway going on now too! I wish I could get any of the double ovens they offer. I love there kitchen appliances..
double ovens – yes please! So fun thanks for hosting! I am your newest follower on facebook, gfc and pinterest. I even linked up a cute mermaid tail I made for my 4 yr old last week. A free standing fridge would be fun! A washer dryer? OMG – that is the coolest thing ever. I wish that I lived in the UK! I would love a new dryer. I really loved the Samsung Stainless Steel American Fridge Freezer, thank you for hosting too! table top dishwasher!!! I NEED IT! I’d love this freezer chest! Thanks Shannah for the link up! Have an awesome week! I like the Samsung H Series RSH7UNSW American Fridge Freezer Freestanding White. I love the Rangemaster 90 Natural Gas FSD 73530 Gas Range Cooker Freestanding Black / Chrome. I love the LG Freestanding Fridge Freezer! I love the Flavel Dual Fuel Range Cooker ! I like the washer dryer: Bosch Exxcel WVD2452BGB Washer Dryer Freestanding Black. I need a new dryer!!! The Hotpoint Aquarius 7kg Vented Tumble Dryer looks pretty great! Thank you for hosting and inviting me to your link party! Some great projects linked up! 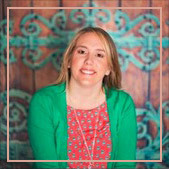 I love appliances online, they are the coolest company ever…creators of the fairy hobmother! My brother lives in London and is desp need of a new washer dryer combo deal! I love the Siemens IQ-700 SN26T595GB Standard Dishwasher Freestanding Stainless Steel. We need a dishwasher so badly. I like the Samsung GSeries Fridge Freezer Stainless Steel. i’d like their Bosch EXXCEL 8KG Washing Machine! I like the table topdishwashers. Good for kitchens with small spaces. I love the Newworld Dual Fuel Range Cooker Freestanding Stainless Steel. I cook a lot, and always have a bunch of dishes going at once, so this would be perfect for me. No more having to wait for one thing to be done to start another! the bosch exxcel washing machine!! I like the Bosch Logixx Integrated Washing Machine. I like the Bosch Exxcel 8kg Washing Machine. I’d love any of their stainless steel double ovens! We could really use this. We’re always running out of space in our other one. My favorite is the slimline dishwasher. 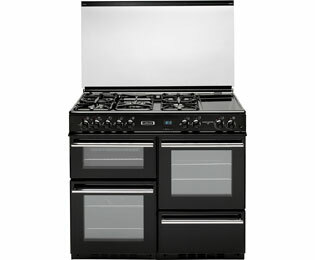 I like Newworld NW90DFTDOAV Free Standing Dual Fuel Range Cooker Stainless Steel. The Hotpoint DHS53X Built In Electric Double Oven Stainless Steel is my favorite. Whirlpool AFB601/BL Free Standing Under Counter Freezer Black would be GREAT!!! I like the Newworld G55TT Free Standing Gas Cooker. Nice! I love the Indesit ISDP429 Spin Dryer Freestanding White! I love, love, love how organized you can keep the freezer and that you don’t have to bend down to get in the fridge. I love the Beko ODF22300X Built In Electric Double Oven Stainless Steel. My favorite item is the Hotpoint DE47X Electric Double Oven Built In Stainless Steel. I love the double oven concept, sounds like it would make baking for big meals easier! Hi, I'm Shannah! 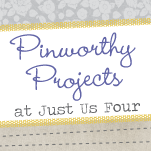 Welcome to Just Us Four, a chronicle of my life as a wife to one awesome Mathlete and working mom to 2 cute kids! Here you'll find everything from recipes to crafts to random glimpses into the life of our family of 4.